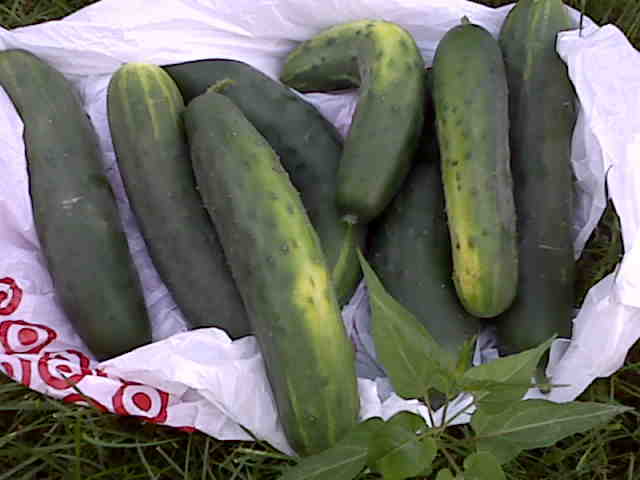 Here's what I pulled out of the garden tonight. Out of control. You are not making it easy for me to live so far away, ya know! I am having major garden envy. Maybe I'll have to send YOU pics of what I can grow in December when YOUR garden is under a foot of snow. Yes, that will make me feel better. I better get crack-a-lackin.